Harvey Software's CPS shipping software provides a comprehensive, cost-efficient shipping system supporting seamless, multi-carrier parcel logistics requirements. CPS benefits include printing carrier compliant shipping labels, data integration options, management reporting capabilities and fast package processing. CPS’ price and performance attract both smaller and larger shippers, including many Fortune 500 organizations. For more information about Harvey Software’s multi-carrier shipping software solutions and services, please visit their web site. Fulfillrite specializes in providing ecommerce order fulfillment services for small to medium sized businesses. We offer simple, fast order fulfillment services and integrate with all major shopping cart platforms. We also provide complete order fulfillment and shipping services for crowdfunding projects from Kickstarter and Indiegogo. For more information about Fulfillrite’s solutions and services, please visit their web site. Ordoro is an ecommerce logistics platform for managing all matters order-related, from shipping and inventory to supplier management and multichannel analytics. With an open API and integrations with all major marketplaces and shopping-cart platforms, Ordoro helps merchants streamline their order workflow throughout all of their sales channels so they can focus on growing their business, rather than maintaining it. We offer tools to monitor inventory levels, manage fulfillment in-house or through a 3PL, bundle products and reduce shipping costs. For more information about Ordoro’s solutions and services, please visit their web site. PC Synergy is the leading supplier of automation to retail mail and parcel centers as well as a solution provider for the auction consignment industry. PostalMate, a comprehensive yet easy to use shipping solution, provides automation solutions for shipping DHL, FedEx, UPS and USPS. 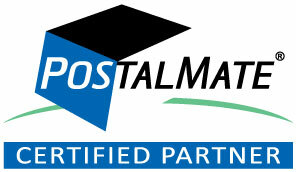 Included with PostalMate is CashMate+ a complete point-of-sale, accounts receivable and mailbox management system. For more information about PC Synergy, visit their web site. ShippingEasy offers online retailers cloud based shipping software, integrating directly with their online stores, marketplaces and inventory systems. A multi-carrier system, boasting exceptional service - with extended hour telephone support - discounted USPS rates (CPP), automation and real time tracking in a clean design purpose-built for ecommerce. Packed with powerful features including batch processing, mapping rules, 1 click returns and endless printing capabilities, ShippingEasy can be accessed from any computer or internet ready device anywhere - no download required. For more information about ShippingEasy, visit their web site. Shippo connects you to USPS, FedEx, UPS, and many more shipping carriers from one place. Print discounted shipping labels, rate shop, track shipments, and manage orders with ease. For 5 cents per shipment, Shippo powers businesses of all sizes through our API and integrations with Shopify, Magento, WooCommerce, BigCommerce, and many other platforms. For more information about Shippo, visit their web site. Want the best insurance with the lowest markups in the industry? ShipSaver offers the lowest price on the highest quality insurance, through Shipsurance. ShipSaver also allows you to insure (bulk insure too!) and manage insurance purchases with ease. Have a claim? No problem, you can file a claim and manage the process directly through ShipSaver. Want to save money on USPS shipping labels also? We have no monthly fee's and allow you to print USPS labels at the lowest price in the industry. You only pay for the postage you use. Insure, ship, and manage with ShipSaver. For more information about ShipSaver, visit their web site. ShipRite Software, Inc., provides software solutions for a broad range of retail and commercial applications. We provide these solutions for Mail and Parcel Stores, General Retail stores, small to medium size shippers and University Mail operations. For more information about ShipRite Software, visit their web site. ShipStation allows multi-channel sellers to cut their shipping time in half by automating shipping labels, order management, and customer communication. ShipStation also provides discounts on USPS Priority and Express Mail of up to 20% off retail rates. Many rates beat Commercial Plus pricing! For more information about ShipStation and a free trial, visit their web site. Shipwire.com offers the first ever on-demand shipping and receiving department. From one central Web site and phone number, businesses of all sizes can manage their receiving, storage, packing, and shipping on-demand, at a much lower cost than owning a warehouse. For more information about Shipwire.com, visit their web site. SmartShyp is a cloud shipping & order management solution for eCommerce retailers. Designed to streamline the order fulfillment process, SmartShyp’s software offers a vast number of integrations that allow you to synchronize your business with the most popular sales channels, shopping carts, warehouse management systems, and parcel shipping carriers. Our Multi Carrier shipping APIs can be used alone or together into an existing application or service and can be used in conjunction with our cloud shipping & order management solution. For more information about SmartShyp, visit their web site. Teapplix automates, organizes and manages shipping, inventory tracking and QuickBooks integration for small and medium-sized businesses operating on the eBay, Amazon, Buy.com, Sears marketplace and other commerce platforms. Our web application makes shipping and accounting faster, easier and less expensive than the alternatives, saving small business owners time, energy and money. Teapplix offers discount shipping insurance powered by Shipsurance. For more information about Teapplix, visit their web site. ReadyShipper shipping software delivers the tools to import, organize and ship your orders with ease. Now available for the Mac and PC, ReadyShipper is ecommerce ready and supports many of today's popular shopping carts and order management systems. Instantly connect, import and ship orders from Amazon, PayPal, QuickBooks, Network Solutions and others. Every download includes a robust Shipsurance integration that leaves nothing out. Use it with any of ReadyShipper's supported shipping methods including USPS, Stamps.com, Mail Innovations, FedEx and UPS. ReadyShipper is a system simple enough for the small business shipping 10 packages a day, and robust enough for the enterprise that will ship thousands. For more information about ReadyShipper and a FREE trial, visit their web site. Fastpack Packaging offers a large selection of packaging and low, discount pricing. Save 5% on your order when you follow this link and use Coupon Code "ship16surance". For more information about Fastpack Packaging, visit their web site. InsurePost is a division of Shipsurance that offers instant online insurance coverage. Register and insure for less. For more information about InsurePost, visit their web site. Associated Mail & Business Centers (AMBC), formerly AMPC, is the national trade association for the mail and parcel industry. Their primary purpose is to serve as the information source for it's thousands of members and those seeking to open a mail and parcel center. Established in 1982, AMBC has helped thousands of stores become more profitable and easier to operate. For more information about the AMBC, visit their web site.